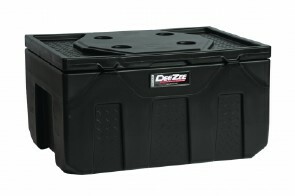 The Wheel Well Box is a convenient way to store your tools, chains and jumper cables, but leave your truck bed open to haul your cargo. 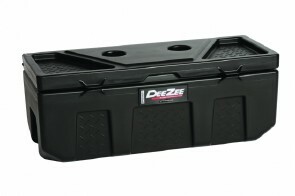 The Poly Utility Chest is constructed of strong yet lightweight plastic. Built to add quick storage wherever you need it. 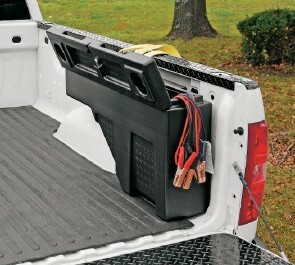 Truck, trailer, boat, dorm room, garage, barn, workshop or anywhere else you can use storage. Molded cup holders on lid provide convenience. Foam gasket around lid helps makes the box weather resistant.